MedResponse Ambulance Service was founded in 2002 a team of professionals with medical background in both administrative and clinical settings. 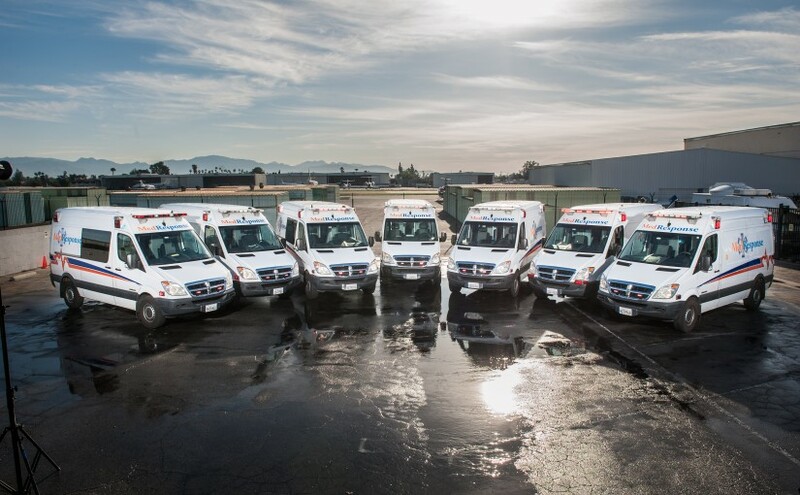 The company has grown to be one of the leading full service ground ambulance companies in Los Angeles County. MedResponse Ambulance Service provides an exceptionally comprehensive management team with over 60 combined years of experience in supervision, management and an active involvement in ambulance operations. Our organization has demonstrated a vast depth of experience in all areas of ambulance operations, medical care and fiscal management. Our EMT’s and staff have proven leadership capabilities that continue to multiply immensely. MedResponse promotes a team concept which continues to invest in our people utilizing all levels of personnel to work together to reach the overall goal. Training and experience is essential to the implementation and operations of a modern successful ambulance service. In order to provide an accurate assessment our team goes through hours of rigorous training, keeping them up to date with the latest and most accurate techniques. We strongly believe the best equipment in the world will not be useful in saving lives if the ambulances are not efficiently deployed and the staff is not adequately trained. MedResponse ensures that the same consistent, high quality patient care is provided on each and every call meeting the needs of each individual. These basic values set MedResponse apart as a locally owned, managed, and directed company whose sole direction is to provide the highest level of excellence in patient care and customer service. Our company has grown from 6 employees, 2 ambulances, and BLS level services to over 130 employees, 30 ambulances with BLS, ALS, CCT, and SCT services in just 10 years. We do not rest our company’s success on the laurels of past successes, but instead actively molding and shaping the standard of care for the future.